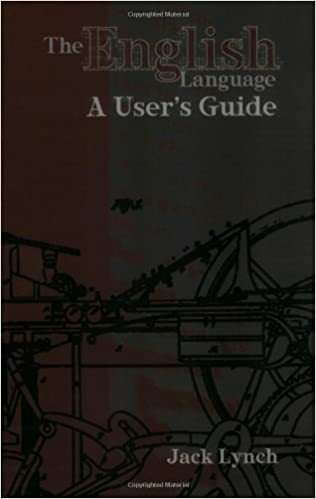 Reading Jack Lynch’s The Lexicographer’s Dilemma (2009), I (re)discovered his usage guide, called The English Language: A User’s Guide, originally published in 2008. I then also found his very useful alphabetically arranged website (called Guide to Grammar and Style), filled with usage advice: a wonderful online resource. I checked it for the split infinitive of course, and found that it also lists “the new like” (so yes, I suppose that means this really is a usage problem). But I also noticed that the website was “last revised 28 January 2011”. Jack, haven’t you heard about the HUGE database yet? This entry was posted in usage guide and tagged Jack Lynch. Bookmark the permalink.